Is this your first book? How many books have you written prior? I have had innumerable false starts; books that I leapt into with a great deal of enthusiasm and then for one reason or another abandoned before completion. Some turned out to be too ambitious while others were simply bad ideas and still others died on the vine because I was not aggressive enough in investing the time. Ten years ago I wrote a novel called Lying Under Comets: A Love Story of Passion, Murder, Snacks and Graffiti. I am still in the process of reworking that book, which has not yet been submitted for publication. I am publishing a book of connected short fiction, entitled Signs of Passing, which I expect to be out later this summer. I am also closing in on the completion of two other novels, one as yet untitled and one about a literary agent and his pet Beagle, entitled Henry & Biggs. My preferred and most natural genre is literary fiction. Even within that already catchall genre, I think I am fairly versatile and can cover a lot of ground, from high drama to suspense to full-on humor. The Lion Trees is about a family living in 2005 Ohio that is, collectively and individually, coming unraveled by circumstances seemingly out of their control. Thematically, The Lion Trees, by turns dramatic and comedic, takes a hard look at the power of self-identity to control the course of our lives. Hallucinogenic mushrooms. Kidding. In the most general sense, my purpose is to entertain. As a fiction writer, I want to provide readers with an enjoyable and meaningful diversion that they will carry around with them for a while. On top of that, however, my motivation in writing this particular book was to elucidate the psychological phenomenon at the core of the story and which propels each of the characters along their various arcs. In a nutshell, that psychological phenomenon is this: we tend to work very hard to shape our lives in a way that reaffirms what we think about ourselves. 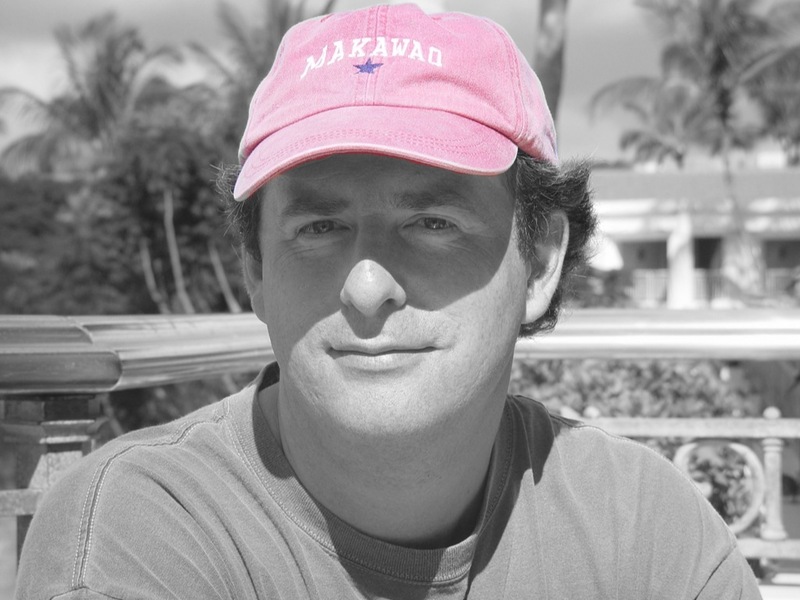 At the core of our motivation is an identity and we will nurture and protect that identity at all costs – in every relationship, in every accomplishment and failure, at every pivotal juncture – even if that identity is maladaptive and based on nothing more than a calcification of misunderstandings we adopted as children. The person who believes he is underserving, or always misunderstood, or wrongly accused, etc., will work very hard in his life to make sure that identity is affirmed again, and again. Even if makes him miserable. Even if it kills him. The Lion Tree is about, among many other things, a Hollywood feature film called The Lion Tree. One of the main characters in the book is the star of that movie (if it ever gets made). The movie is an adaptation of a short story written by one of the other characters in the book. The name of the short story is The Lion Tree. That short story has at is center a parable about a man whose family is devoured by a pride of lions while out on a safari in Africa. So the title to this novel in part derives from the titles of these works of fiction that fit one inside the other like Russian nesting dolls. 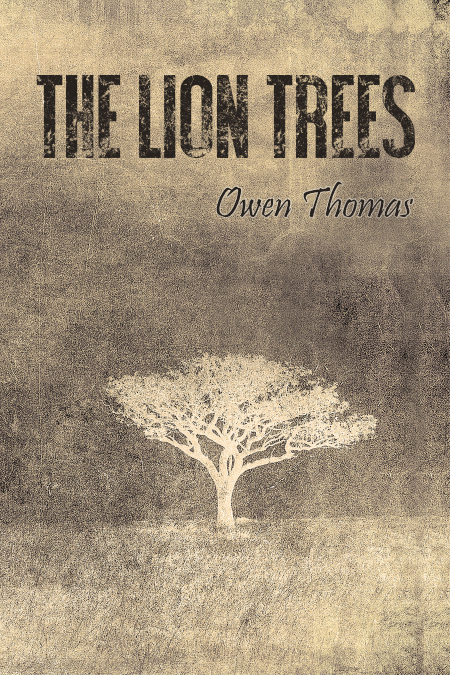 More broadly, however, The Lion Trees refers to the metaphor that animates all of the plots and characters in this book: the lion tree marks the place in our lives at which we adopt a self-conception, an identity, that threatens to devour us from the inside out. I worked with a consultant (Taughnee Stone at Launch the Book) to come up with an image that captured both the title and literary feel of the book. The Lion Trees, while very funny and contemporary in its style, also has a romantic, philosophical, modern-classic feel. We wanted the dominant image to be simple and iconic and for the cover to have a weathered, well-read look to it. It is an interesting question, since one of the major storylines in The Lion Trees is about adapting a piece of literature to the Silver Screen and finding the right actors to play the various characters that inhabit the written work. The author of the fictional work on which the movie is to be based is a guy named Angus Mann. One of the stars of the movie declares that Angus bears a passing resemblance to Robert Forrester, so I suppose Angus would have to be played by Robert Forrester. As for the other characters, I will forego this opportunity to superimpose my own visual conception of the characters. I would prefer that the readers form their own conceptions of, and relationship with, the characters. That is one of those questions that is fair to ask and, for me, nearly impossible to answer. I have been inspired by so many writers and books that to name one or a few does an almost unpardonable disservice to all of the others. So let me answer it this way. The Lion Trees as a literary creation was inspired by several different writers and books. The structure of the novel as a story told in a variety of different voices and tenses each handing off to another was inspired by Barbara Kingsolver’s The Poisonwood Bible. Some of the social-satirical elements of the book, as well as the hubristic aspects to Hollis Johns was at least partly inspired by Tom Wolfe’s A Man in Full and his brilliant character Charles Croker. Aspects of the arc of Tilly Johns, the sexual rebelliousness of her character and the relationship she has with her brother Ben owe something to William Faulkner’s The Sound and the Fury. The nesting of a story within a story (a novel called The Lion Trees about a movie called The Lion Tree, based on a short story called The Lion Tree, which is written around a parable of The Lion Tree) had its first inspiration from Margaret Atwood’s The Blind Assassin. The Johns family as a study of intimate, history-driven dysfunction was at least partly inspired by Jonathan Franzen’s The Corrections. The short story by Angus Mann (a fictional character) and all of its circa 1960, stripped-down science fiction born of nuclear paranoia was inspired by the incomparable Ray Bradbury. The list goes on. There is no better fuel and inspiration for writers than good writing. Given the other professional demands on my life, my “writing process” includes trying to find as many spare minutes laying around to string together and actually be creative. Sometimes that is quite difficult. I wrote a great deal of The Lion Trees sitting in my car in the middle of fast-food restaurant parking lots between meetings and court appearances. In an ideal week, I am able to devote Saturday and Sunday mornings to writing; maybe four to five hours each day. That writing time is important because it allows a deeper focus. On those days I try not to do anything before writing – I do not open the newspaper. I do not turn on the radio or television. I avoid conversation. The less of the everyday world that is in my head, the better I am able to immerse myself in the world of whatever I am writing. If I am able to write in the afternoons and evenings, I tend to spend that time editing simply because by then the real world has invaded my thoughts to such an extent that filling the blank page with fresh thoughts and new words is much more difficult. I tend to write and edit in layers as I work my way through a book (as opposed to writing one draft and then going back to the beginning and writing a new draft, etc. ), so once I finish that last page, the book is really about 80-90% complete. Thereafter, I comb through the book several times, but the edits tend to be fairly minor. There is a couch in my den at home that provides me with a comfortable, out of the way, space. Sometimes too comfortable. It is not uncommon for my ‘writing time’ to look an awful lot like ‘nap time.’ As I have already mentioned, I have written a frightening percentage of my books in the front seat of my car sitting in some parking lot outside any number of sandwich shops. Having a mobile writing studio has allowed me to steal some valuable writing time from the little spaces over lunch and between meetings and court hearings. Every so often I will go to the local library with a set of headphones and a laptop and camp out for a while. For editing and book marketing work, various coffee houses around Anchorage have sufficed. It is probably worth noting that, for me anyway, the process of “writing” involves more than the process of typing. Writing for me requires a lot of pondering and problem solving and, to that extent, I spend a lot of time “writing” as I walk around a lake near where I live, or drive nowhere in particular, or sit in some public place staring out into space or watching people do whatever it is they are doing. Put to good use, all of that time is integral to my creative process. Not put to good use, all of that time starts to look a lot like idle daydreaming. Or suspicious loitering. I’m more of a seat-of-my-pants guy although it is more a combination of both and I don’t really have a formula. A concept or idea will take root in my head and I will carry it around with me, usually for a long time. Eventually, I start to get ideas onto a computer screen. Then, like drops of water on a window, those ideas start to coalesce into something larger. Before long, the book starts to develop its own voice; its own presence in the world. I tend not to prepare detailed outlines because I think there is a real danger of creative confinement. The book can change out from under me and I want to allow that process as much as possible. If written organically (a term I use to distinguish my idea of creative writing from a kind of reverse-engineered, plot-manufacturing process), the characters and the story will tell you where they want to go. For me, writing is a very dynamic process that moves forward in the interplay between the writer and the story. If the writer tries to set it all down in stone at the beginning of the process, he or she is missing out on what to my mind is the best part. There is an awful lot to learn about the story you are telling that you simply do not know in the beginning. Getting to know your characters and their situation is like getting to know anyone else. It takes time and a willingness to adapt to new information and jettison preconceived notions. My advice would be this: don’t worry about selling. Kick the commerce part of it out of the room for the writing phase and lock the door. Don’t write what the market expects you to write. Don’t write something you think will sell. Write with the sole purpose of doing justice to the creative vision in your head. Write something good. Write something authentic. Write something that moves you and you will move others. Have fun. Worry about selling later. I host a fiction blog that has previously included a feature in which I pose thought-provoking but generally useless questions to followers on social media and then compile the most original answers. The first question in that series was this: if you had the power to fly or to be invisible which would you choose and why? One of my favorite responses was “If you’re invisible, you can fly anywhere you need to go. Pick the Lear jet of your choice and go. Who needs to fly as a superpower? Invisibility gets you both.” For anyone who is interested, the other answers are collected here. My own preference would be to have the power to pick up a book and instantly absorb the entirety of its contents. At my current rate of literary consumption, I’m never going to finish all the good books in the world. Sigh.